Deutsche Telekom Offers MetroPCS Its "Best and Final Offer"
Deutsche Telekom is doing its best to acquire MetroPCS in an effort to merge it with T-Mobile USA. It has the blessings of the Department of Justice and the Federal Communications Commission, but there's one roadblock: MetroPCS shareholders who don't think they're getting a good enough offer. In an effort to quell those fears and win shareholder approval, Deutsche Telekom is making its "best and final offer" for MetroPCS. "Under the terms of the current agreement between MetroPCS and Deutsche Telekom, T-Mobile USA would be contributed to the combined company with shareholder loans totaling USD 15 billion," Deutsche Telekom explained in a recent statement. "In its improved offer, Deutsche Telekom will reduce these shareholder loans by USD 3.8 billion to USD 11.2 billion, significantly increasing the equity value of the combined company." It will also reduce the interest rate. 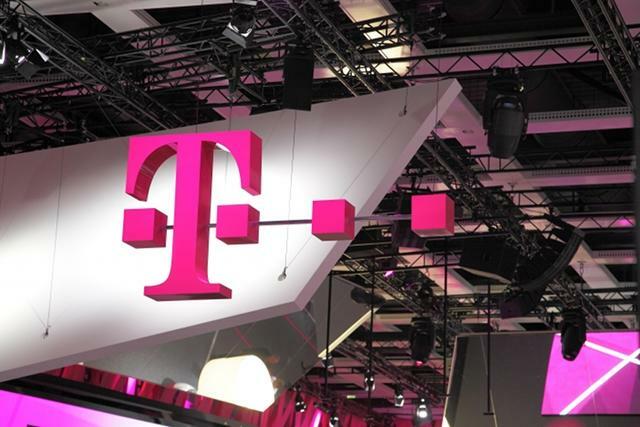 Now Deutsche Telekom just needs MetroPCS shareholders to approve the new deal. Votes are to be submitted by midnight EST on April 23. Deutsche Telekom AG (XETRA: DTE) today announced it has submitted its best and final offer to MetroPCS Inc. (NYSE: PCS) for the combination of its subsidiaryT-Mobile USA with MetroPCS. Under the terms of the current agreement between MetroPCS and Deutsche Telekom, T-Mobile USA would be contributed to the combined company with shareholder loans totaling USD 15 billion. In its improved offer, Deutsche Telekom will reduce these shareholder loans by USD 3.8 billion to USD 11.2 billion, significantly increasing the equity value of the combined company. Deutsche Telekom will also reduce the interest rate on the USD 11.2 billion of shareholder loans by 50 basis points. This lower rate reflects the new capital structure of the combined company, the improved capital markets environment in recent months, and the interest rate level of MetroPCS newly issued USD 3.5 billion of bonds priced in March. The lock-up period during which Deutsche Telekom is prohibited from publicly selling shares in the combined company has also been extended by 12 months to 18 months following closing of the transaction. A USD 1.5 billion aggregate cash payment to existing MetroPCS shareholders. The agreed ownership structure of the combined company, with 26 percent of the shares being held by current MetroPCS shareholders and 74 percent by Deutsche Telekom. As Deutsche Telekom will fully consolidate the merged company, the change in the capital structure has no impact on the Group's leverage. This improved offer underlines Deutsche Telekom's commitment to establishing a new, stronger competitor in the U.S. mobile communications market that will offer customers a greater selection of attractively priced products and services on a best-in-class wireless network. The combined company will be able to compete more aggressively with other U.S. mobile operators based on its economies of scale, improved spectrum position and additional financial resources. The planned synergies and business plan remain unaffected by the amended offer. The transaction is still expected to generate cost synergies of approximately USD 6 to 7 billion (net present value). The relevant U.S. authorities have already approved the merger of MetroPCS andT-Mobile USA. These approvals are unaffected by the improved offer. The transaction can close promptly upon MetroPCS stockholder approval.